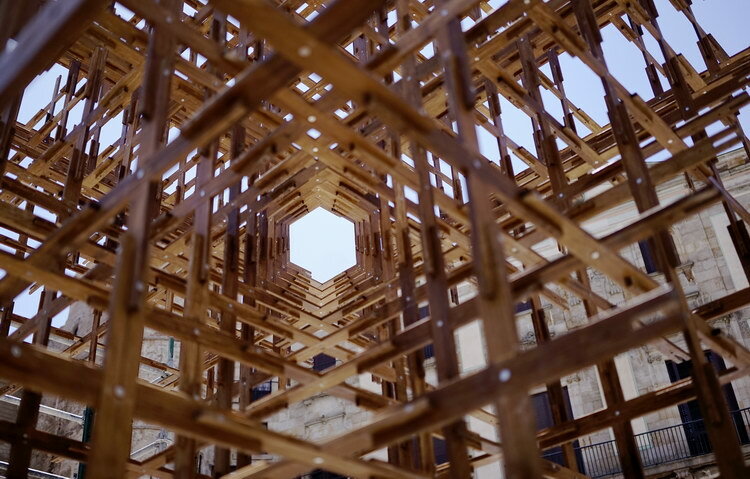 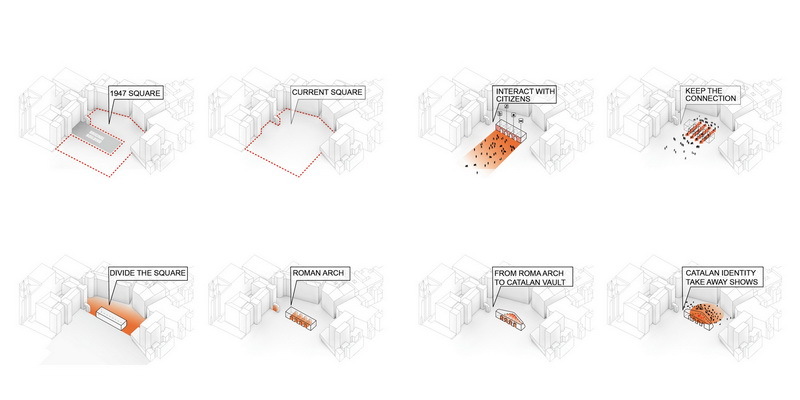 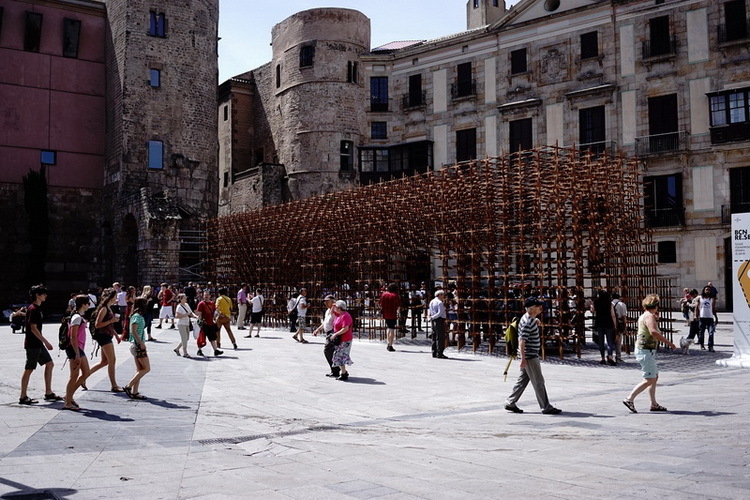 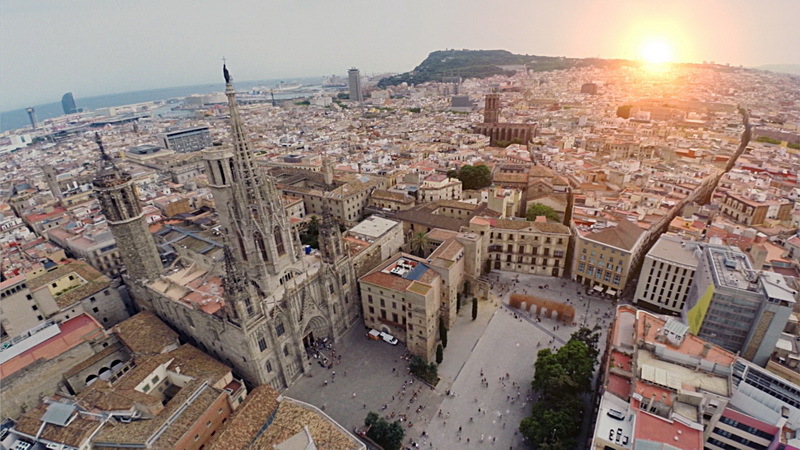 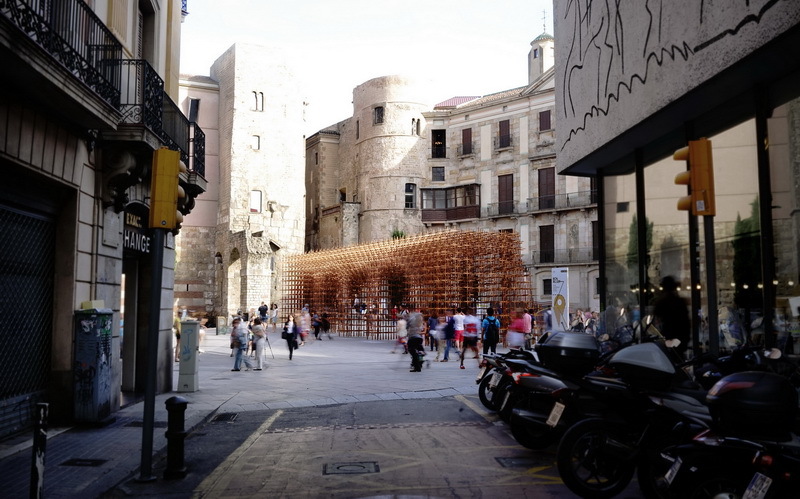 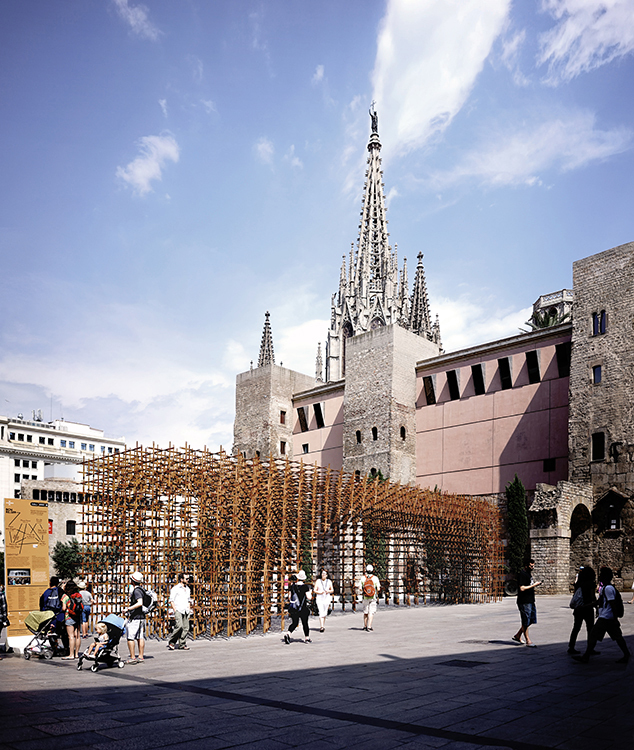 To celebrate Barcelona’s 300th Anniversary, the city’s cultural department invited 7 international architect teams to build installations around the city. 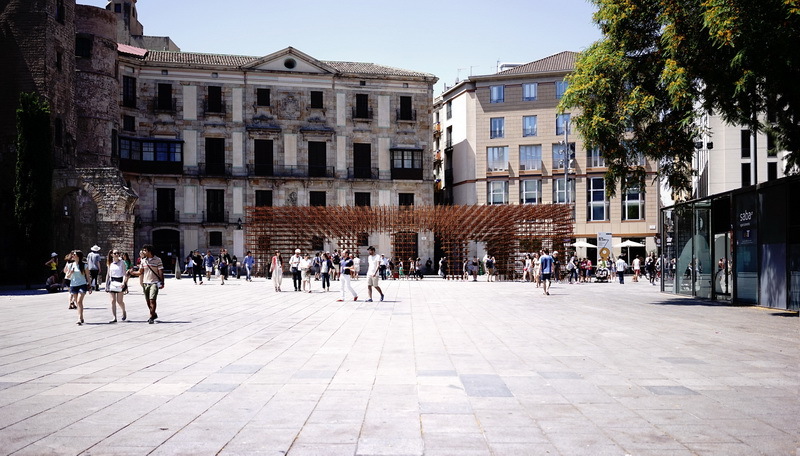 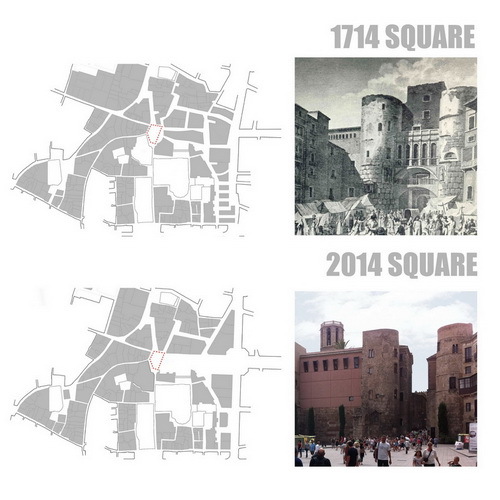 URBANUS built the IDENTITY Pavilion on the Historic PLAZA NOVA and was highly received for its distinguished designs, which dexterously reflects the historical context by showcasing the evolution from Roman arch to Catalan vault. 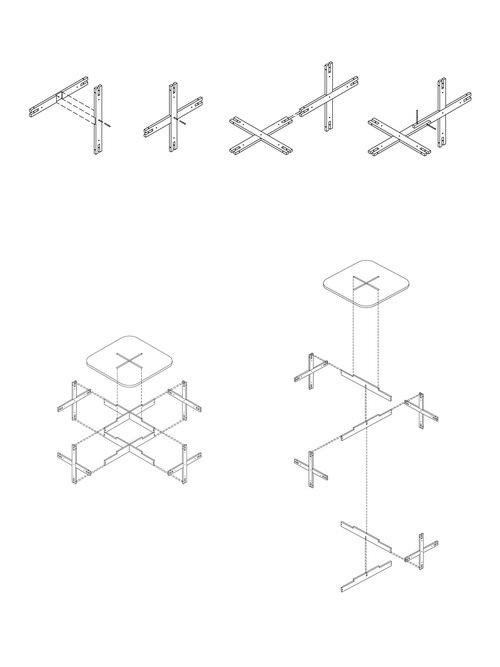 The use of a cohesive network of small bamboo pieces reduces the need for buttressing and eliminates the necessity of temporary supports. 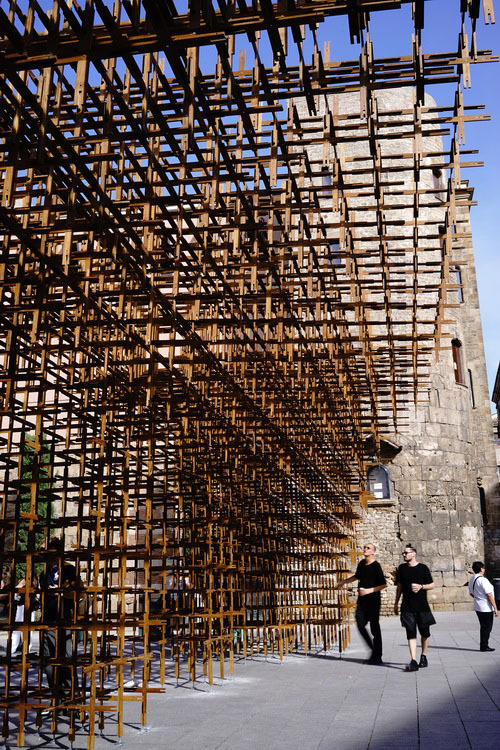 This allows for a large spanning structure with a material thickness of just 10mm, using standard industrially produced bamboo pieces brought from China. 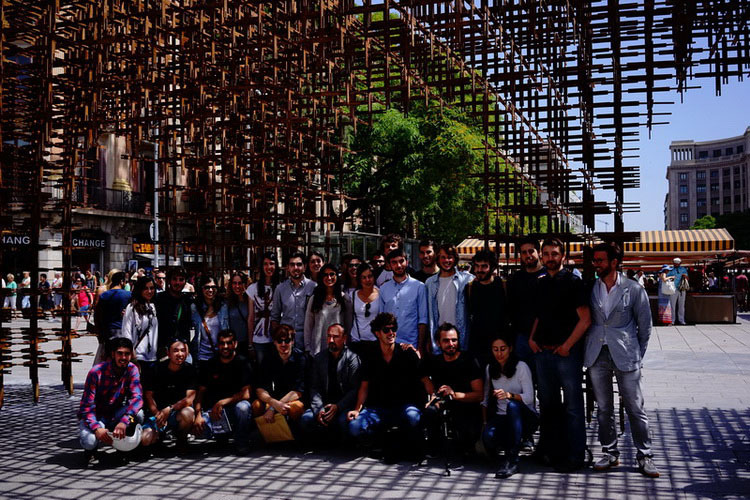 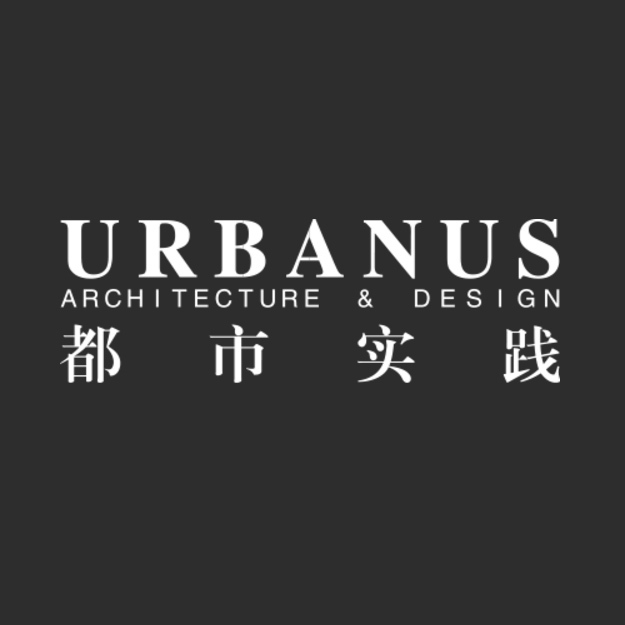 Urbanus built the installation with students from local architecture schools and the project was highly received by experts and local residents and was the only one that was below the budget. 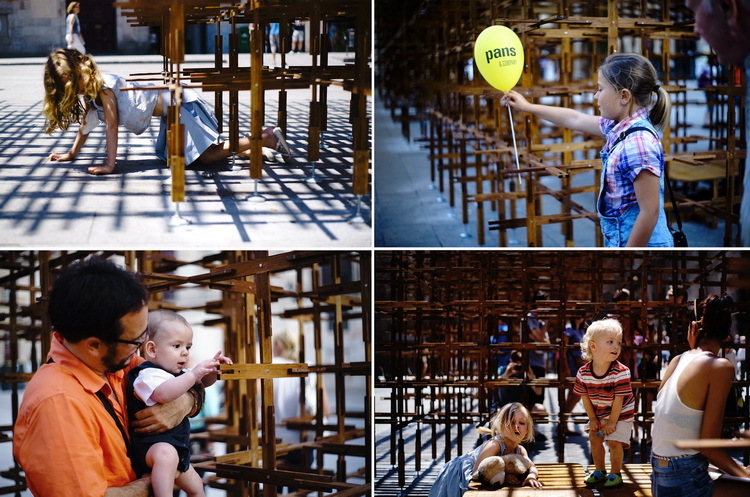 The installation was published headline on the front-page of local newspapers and was exhibited in renowned architecture galleries in Berlin and captured the attention from mainstream media in Europe. 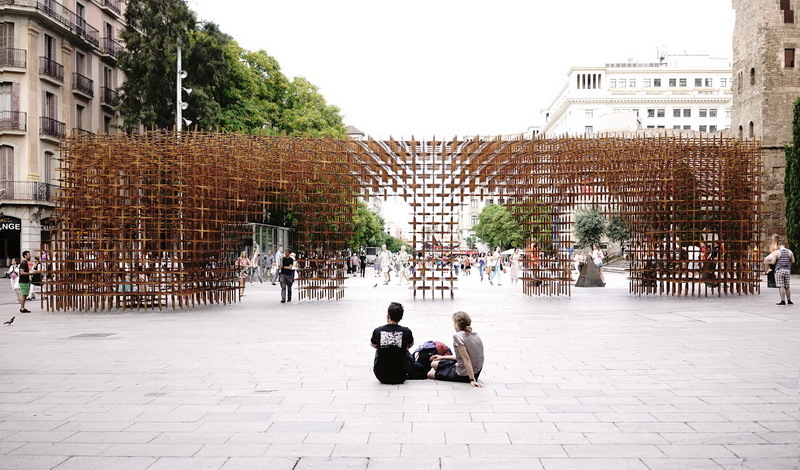 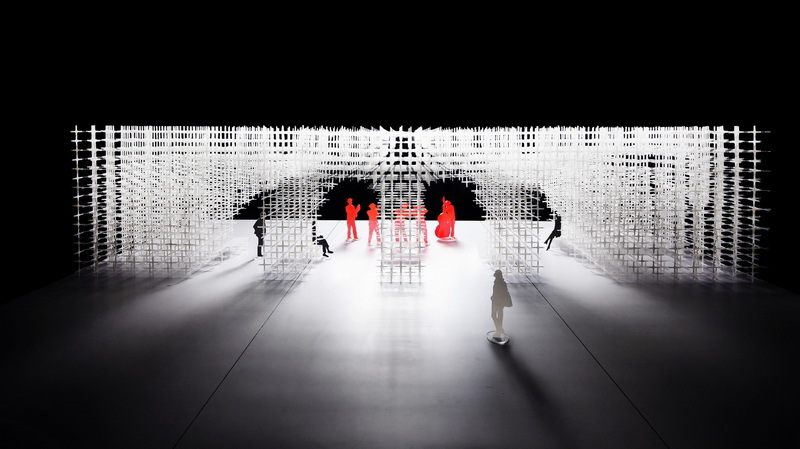 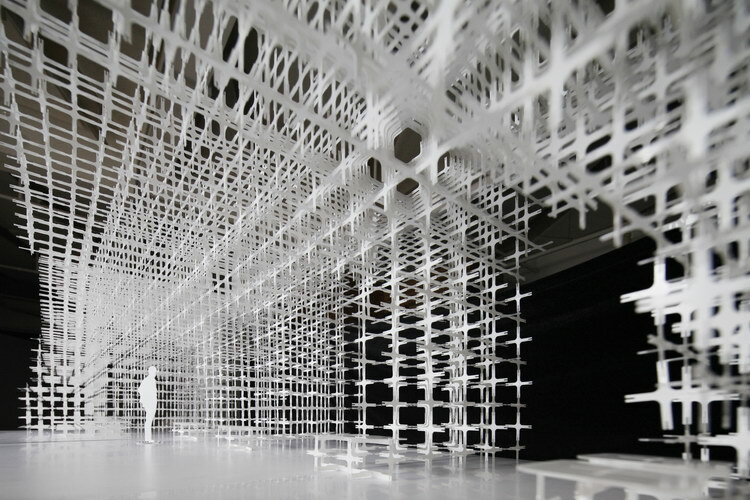 The installation was ranked 2014 Top 10 Temporary Structures by DesignBoom.